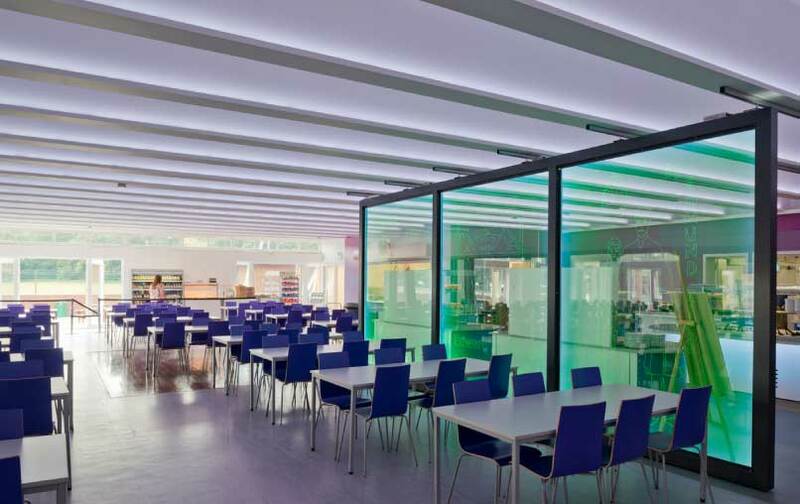 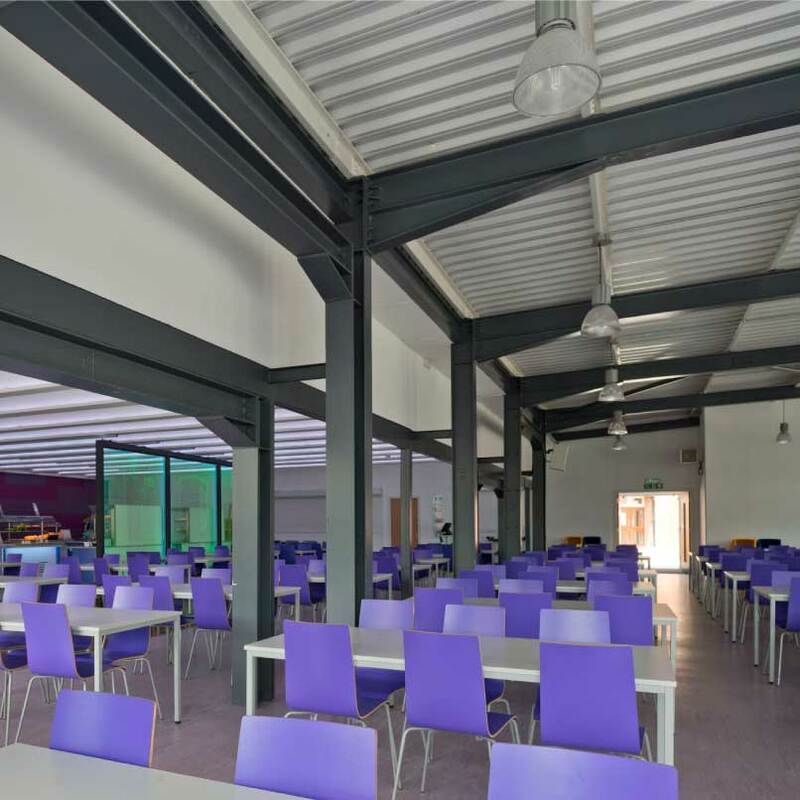 The construction of a new dining room at St Edward’s allowed Snook to propose a more informal food court type setting to complement the schools recently introduced fresh food menu. 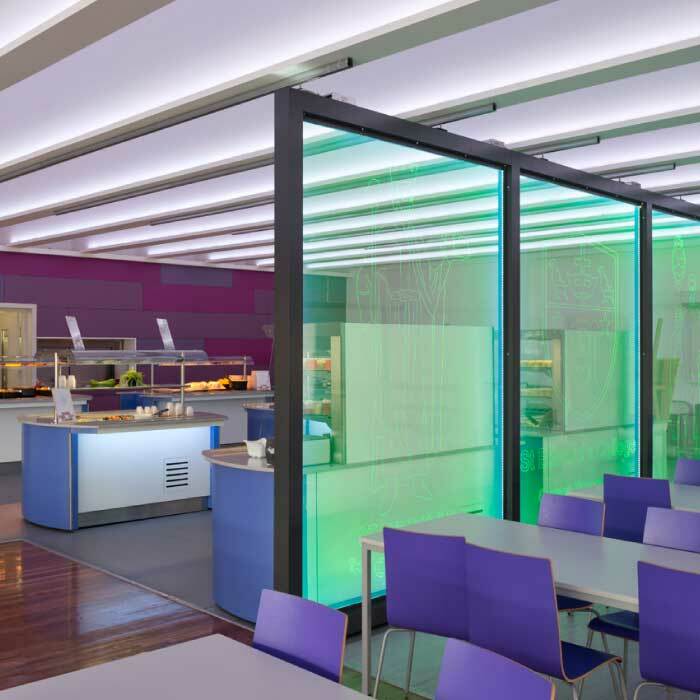 Instead of luke warm semolina served by dinner ladies, students now help themselves to salad and fruit in a vibrant colourful setting that is based on the school colours. 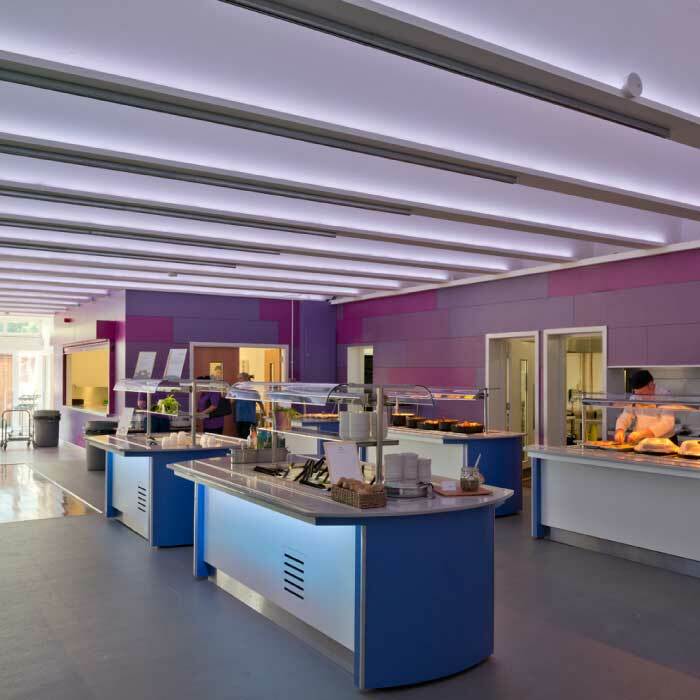 An illuminated LED screen with the school badge and motto seperates the serving from dining and can be slid out of the way for after school dinners and dances.